I ran into some processing dilemma's at work today and came across the command called screen. After reading Jeff Huckaby's blog post over at rackaid.com, I decided to publish some information that was useful. "Linux Screen Can Save you from that Lost Connection." Some material is copied from Jeff Huckaby's post, so please feel free to head over to the original source provided in the link above. I am mainly working with screen in either Cygwin or Backtrack 5 R2, so if you do not have screen available for your distribution, find a repository which houses the application and download/install. 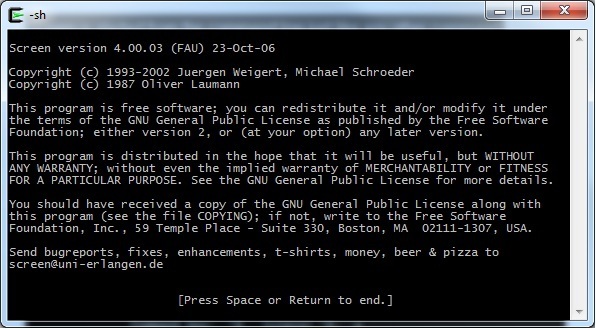 The screen man page states that "Screen is a full-screen window manager that multiplexes a physical terminal between several processes (typically interactive shells). Each virtual terminal provides the functions of a DEC VT100 terminal and, in addition, several control functions from the ISO 6429 (ECMA 48, ANSI X3.64) and ISO 2022 standards (e.g. insert/delete line and support for multiple character sets)." 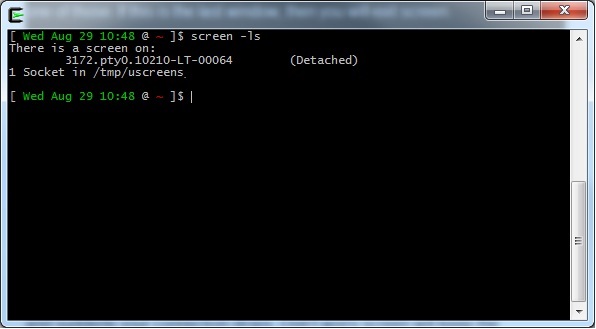 Basically screen offers the user multiple windows to manage terminal sessions and saves your processes during initialization. You are now inside of a window within screen. This functions just like a normal shell except for a few special characters. Screen uses the command "<CTRL>-a" as a signal to send commands to screen instead of the shell. To get help, just use "<CTRL>-a" then “?”. You should now have the screen help page. 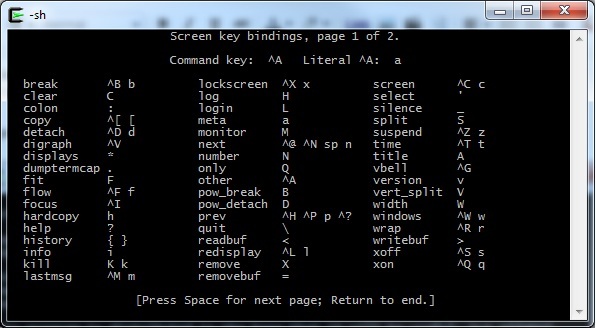 Multiple windowsTo open a new window, use the following keyboard sequence "<CTRL>-a" then "c". 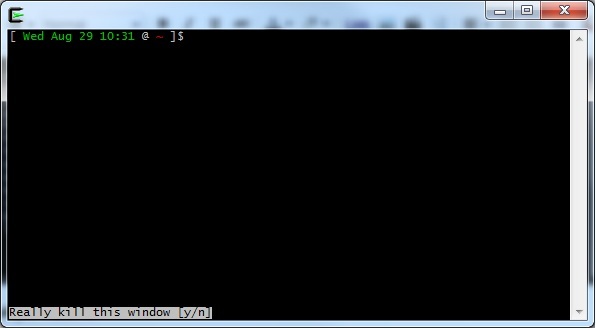 This will create a new window for you with your default prompt. You can create several windows and toggle through them with "<CTRL>-a" then "n" for the next window or "<CTRL>-a" then "p" for the previous window. Each process will keep running while your work elsewhere.Leaving or DetachingThere are two ways to get out of screen. The first is just like logging out of a shell. You kill the window with "<CTRL>-a" then "k" or “exit” will work on some systems. When using the "<CTRL>-a" then "k" command, the user will be prompted with a option to "Really kill" the window.